Book Making: Amazon and Walmart in price war on books.Amazon now offering same-day delivery in 7 cities. Amazon and Walmart in price war on books. Amazon now offering same-day delivery in 7 cities. Amazon.com and Walmart.com are engaged is a costly price war, fighting to win readers even if it means losing dollars. The biggest losers in the war are likely to be other booksellers. WalMart fired the first round last Thursday, with $10 prices on upcoming expected big sellers including Sarah Palin's "Mama Moose" and John Grisham's "Ford County." The $10 price is a huge discount from the $28.99 and $24 cover prices and below the wholesale cost of the books. WalMart will also offer free shipping. Amazon.com soon matched the $10 price. WalMart returned fire by reducing the price to $9. By Friday morning, Amazon.com met the Walmart $9 price. 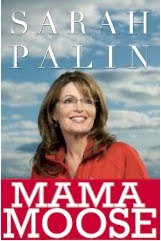 This morning Walmart had cut the price of the Palin book by a penny to $8.99. Amazon was still selling it for $9. The low online prices will probably hurt bricks-and-mortar bookstores, especially independent mom-and-pop operations that lack the deep pockets to match the online prices and sell at a loss. The Amazon and Walmart pricing is also a major problem for the big bookstore chains Barnes & Noble and Borders, which have been hurt by online competition, competition from electronic books ("eBooks") and the drop in CD sales. Online sellers (including B&N's own website) now charge just $9.99 for many popular eBooks, a price that has antagonized publishers who prefer to sell printed books ("pBooks"). Walmart boss Raul Vazquez said, "At Walmart.com, we remain committed to providing our customers with the lowest prices available online. That commitment extends to the nation's best-selling books, especially during an increasingly challenging year for many of our customers... Our newest offering -- the Top 10 pre-selling books at just $10, with free home delivery -- is a true reflection of this commitment to better help our customers shop and save money online, just in time for the approaching holiday season." Walmart also will offer at least half off the cover prices of over 200 current best-sellers, including Dan Brown's "The Lost Symbol" and Kathryn Stockett's "The Help." Last Friday, Amazon escalated the quick delivery battle with the launch of “Local Express Delivery,” a shipping option providing same-day delivery in seven major cities including New York, Philadelphia, Boston, Baltimore, Las Vegas, Seattle and Washington D.C. The service will be extended to Chicago, Indianapolis and Phoenix in coming months. Thousands of items are now available for Local Express Delivery. "Amazon Prime" members pay just $5.99 per item for the service. Delivery cut-off times are on each product’s detail page. Amazon has also expanded Saturday Delivery options. Items ordered before the cut-off time on Thursday using Two-Day Shipping will be delivered on Saturday instead of Monday. For Prime members, Thursday-to-Saturday delivery is free using Two-Day Shipping. For all other customers, the service is offered at the current Two-Day Shipping rates. Saturday Delivery is also available for orders placed before the cut-off on Fridays for $6.99 per item for Prime members and an additional charge for all other customers. Details can be found at www.amazon.com/help/shipping. I'm sure glad I don't own a bookstore.